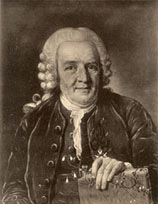 Carl Linnaeus, a naturalist, is the father of the binary nomenclature. The official name of a species is in Latin to allow a universal name. Here's an example: the species name of the Daisy is Leucanthemum vulgare where's Leucanthemum is the genus and vulgare the specific epithet. Usually found after the species name, we find the name of the person who first named it (taxonomist), this name is often abbreviated, as in the previous example it would be: Leucanthemum vulgare Lam. where Lam. is the abbreviation of the naturalist Jean-Baptiste Pierre Antoine de Monet, Chevalier de Lamarck. Sometimes there may be more than one taxonomist noted after a species name. 1- Genus must always start with capital letters. 2- The specific name is always lowercase even if the latter come from a proper name. For example in the species name : Erythronium americanum americanum does not begin with a capital letter. Although the species name does not tell us about the family, the genus names are unique, there is no duplicate genus name through families. However the specific epithet, although unique to a genus, can be in the names of several species of another genus or family. For example the speciesCalla palustris and Caltha palustris are two completely different species having the same specific epithet : palustris, one of the genus Calla of the Araceae family and the other of the genus Caltha from the Ranunculaceae family.